The Efteling is the eighth best amusement park in Europe, according to Tripadvisor travellers. 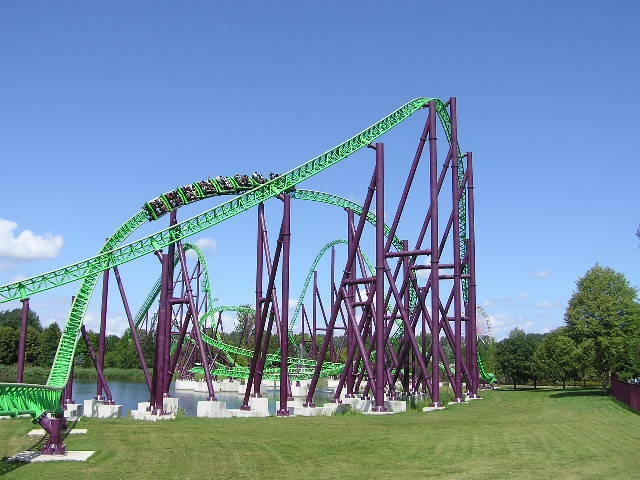 Here is the Netherlands by Numbers list of 10 Dutch theme parks. This popular park started off as a sports facility for Catholic youngsters and was turned into a theme park in 1951. The Efteling has some deeply impressive rollercoasters and a fair number of the original fairy tale displays, designed by artist Anton Pieck, are still there and haven’t lost their magic. For the little ones and (their nostalgic parents) – the name Sprookjeswonderland translates as ‘fairytale wonderland’. Delightfully cheesy and old fashioned but very charming all the same. Originally a small settlement of only a couple of kabouters or gnomes, these quickly proliferated and there is now a sizeable kabouterdorp, or village where children can see the inhabitants ply their trade. Their movements are mostly restricted to arms going up down and heads turning from left to right but children love it all the same. There’s also a petting zoo and playground. Madurodam deserves a big entry in spite of its littleness. Small but perfectly formed the miniature town combines a number of important architectural landmarks/institutions in the Netherlands. The town was completely redeveloped in 2012. You can have a go at loading a ship in Rotterdam harbour, or saving the country from flooding by closing the Oosterschelde sluice doors. It’s all very educational but fun at the same time. Try not to tread on anything. Walibi (formerly Six Flags) is the next stage after the sedate tranquility of Sprookjeswonderland when your child may want a bit more excitement. The Walibi motto is faster, harder, higher so should will fit the bill. Apart from its not too blood-curdling mechanical attractions, Slagharen is really most famous for its pony rides which is what the park started out with fifty years ago. The ponies disappeared for a while but are no back. Quite how they will compete with the Jules Verne World remains to be seen. 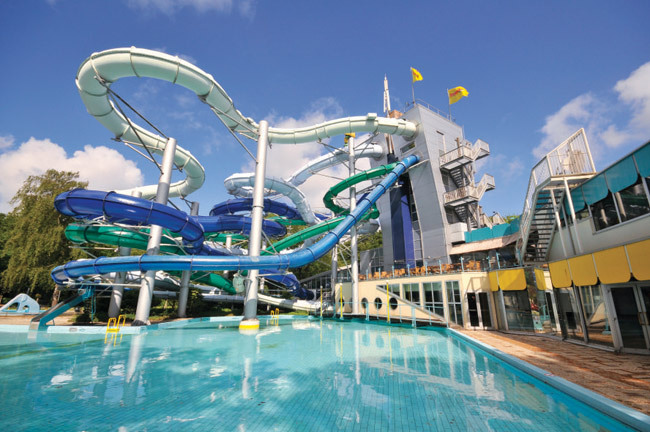 The posh one – given its location on the estate of the Van Zuylen van Nijevelt family, Duinrell is most famous for its ‘tropical swimming paradise’ named the Tikibad which has the longest water slides in the Netherlands. Julianatoren dates from 1910 and is the oldest theme park in the Netherlands. The park was named after the late queen Juliana. Slightly irreverently the park has employed a full-time entertainer in a mouse suit named Jul in order to make things a little zippier. There’s lots of gentle rides so good for the smaller members of your household. 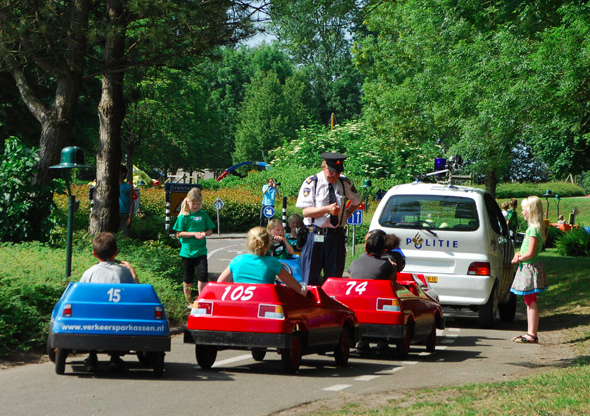 ‘You’re the driver’, is the Verkeerspark motto. But, for all those aspiring young drivers out there, that doesn’t mean you can zoom around and bump into people. In fact, it is very sternly educational: children can practice on a circuit in little leg-powered cars and then do a driving test after which they get a driver’s license. There’s karting for the older children. This is another theme park that started out as a quiet tea garden with some swings and things to keep the little ones happy while mother and father had tea, or a g&t. That was in 1936. Hellendoorn – no longer in the hands of the De Jong family who managed to hold on to it for two generations – is the usual mix of rides, slides and upset stomachs. 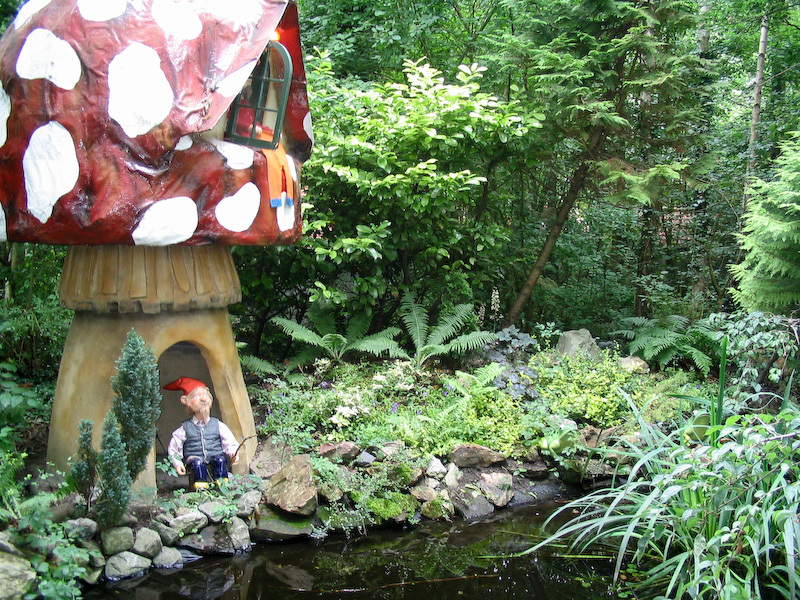 The only Dutch branch of the Belgian amusement park chain dedicated to the delightful kabouter (gnome) Plop and his friends. The ticket price depends on your height. Conveniently located next to Centreparcs – which is a Dutch invention.